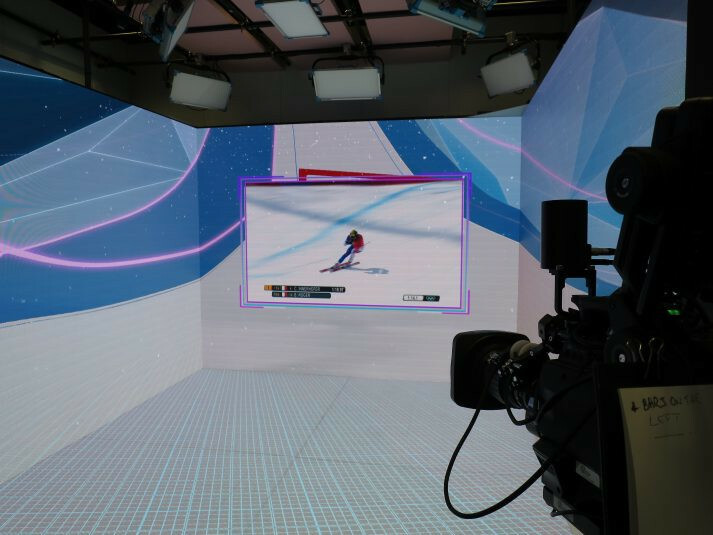 The PyeongChang Olympics in Korea provided an incredible platform for demonstrating the potential of next generation broadcast options. This included 8K, HDR, Dolby Atmos, Virtual Reality, ATSC 3.0 and 5G live broadcasting, plus an amazing drone demo. Unfortunately, the recently held SuperBowl was a big disappointment on that front with it not even available in 4K. What’s up with that?In part 1 of this report, I’ll talk about 4K/8K production. In Part 2, I’ll talk about VR and 5G in more depth. The role of the Olympic Broadcasting Service (OBS) is to create audio/video feeds that meet the diverse needs of Olympic rights holders. In addition to providing a baseline 1080i SDR feed (created with over 400 cameras and 250 specialist cameras for aerial shots from helicopters and drones), it is also providing 8K HDR, 4K HDR and 4K SDR feeds as well. In addition, it is working with Intel and others to offer some VR content. To facilitate this mandate, OBS set up the International Broadcast Center (IBC) in PyeongChang. This facility can accept incoming video signals, route them to various in-house production rooms, and output to remote production facilities around the world. One interesting studio that can be booked in the IBC is known as the Cube. It has LED screens on three walls and the floor with two position-tracked cameras and augmented-reality capabilities courtesy of Stype and Vizrt. We saw a similar set up at NAB from Planar/Leyard in 2017. We also saw how Vizrt technology can be used to create in-camera AR images that can be stunning. For example, the action of a downhill skier to be shown on the wall with the skier then appearing to emerge from the wall and the presenter walking round the image. The AR graphic can show the body position and angles, which can then be twisted or turned as the story develops. 8K production was showcased by NHK to help set the stage for their full broadcast of the 2020 Summer Olympics. For capture, NHK fielded up to 10 cameras including a 120fps camera at each event. That’s more cameras than at the 2016 Rio games and everything is in HDR this time around. The organization also placed a lot more microphones at each venue to create their surround sound mix. NHK had two video-production trucks and two audio trucks producing live 8K HDR content with 22.2 surround sound. They are also downconverting it to 4K HDR and 4K SDR. These became feeds for a number of rights holders to then use in their own productions. The 8K coverage included the Opening Ceremony, figure skating, short-track speed skating, ski jumping and snowboard big air. The figure-skating and short-track production includes Ikegami SHK-810 8K cameras, two Sony HDC-4800 cameras in 4K for high-speed recording (upconverted to 8K), as well as a proprietary 8K 120-fps camera from NHK STRL (Science & Technology Research Laboratories) that is used for slow-motion replay. The production at the ski jumping venue used Sony UHC8300 8K cameras and a Sony server for replay needs. In addition, Sony HDC-4800 cameras are used for slow-motion playback. All capture and production is done in Hybrid Log Gamma (HLG). All in all, about 90 hours of 8K HDR content was captured. Some of this content was delivered to broadcasters for testing purposes, but an 8K theater was also set up at the IBC featuring a 350″ screen powered by four Panasonic projectors, each with UHD resolution. This appears to be the same set up shown by NHK at last year’s NAB and IBC events. The 4H HDR and 4K SDR feeds derived from the NHK 8K HDR production were delivered to many venues around the globe. Below, we describe how NBC Sports in the U.S. managed their 4K production. NBC Sports committed to producing 12 hours per day in 4K HDR with Dolby Atmos immersive sound on a one-day delay. According to Sports Video Group, OBS provided NBC with two sets of 4K HDR HLG feeds on four fibers formatted as 2SI, as well as a third set of fibers carrying the 4K SDR Hockey 1 feed. Any two of these feeds were sent to the NBC Olympics’ Sports Production Operations Center (SPOC) in Stamford, CT, where Mobile TV Group’s 39FLEX 4K mobile unit was parked at the truck dock to integrate the production and add commentary. The third feed was recorded on a local Sony PWS-4500 4K/HD server at the IBC. These 4K line-cuts essentially served as the program feeds for the 4K HDR coverage, so no switching is necessary inside 39FLEX. Instead, a small production team was led by a single director/producer to insert NBC-branded graphics. In addition, OBS’s 4K SDR Hockey 1 feed is being converted to HDR inside 39FLEX. Two off-tube booths with rotating sets of announcers create the voiceover for all of this coverage — either live as the content comes in overnight or the following day. For the Dolby Atmos audio, the encoded Atmos feed was a 5.1.4 mix that NBC generated from a combination of the 5.1-surround mix and overhead height mics provided by OBS. NBC has the choice of the OBS 5.1 downmix or the 5.1 downmix from NHK’s 8K, 22.2-channel-audio Super-Hi Vision production. The 5.1 mix was sent to Stamford with an audio split of four height mics as well as a split of the PA system in the venue and the announcers. After audio mixing in 39FLEX, the 5.1.4 Atmos mix was sent to NBC’s Englewood Cliffs, NJ facility. This facility accepted finished 4K HDR content along with the 10 discrete audio channels from the truck each day for the VOD servers. In addition, a linear feed was sent to other participating MVPDs, including DirecTV and Dish Network. The 4K HDR video along with the Dolby Atmos audio was encoded in NJ and distributed to NBC affiliates throughout the U.S. using an SES satellite. Subscribers of these MVPDs with the necessary 4K HDR TV and set-top box could then receive the 4K HDR content. – (CC) see part 2 here.